After reading so many hot reports in the forum of good catches of Barra from our local creeks, we decided to spend yesterday afternoon lure casting ourselves. We hit the creek about 2pm to fish a nice steady outgoing tide. The slight movement in the tide presented us with some nice green coloured clear water, perfect for lure casting. We made our way up the creek and then worked back with the tide. The action was not as furious as we would have liked, but I managed 1 nice Barra of 62cm, a small Jack and 2 Cod. 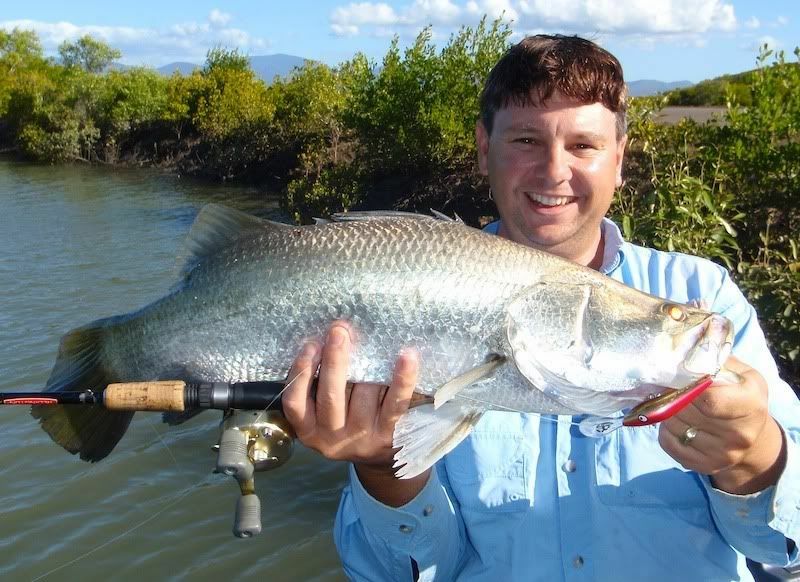 The Barra came from the mouth of a small drain and took a standard gold Flatz Rat. 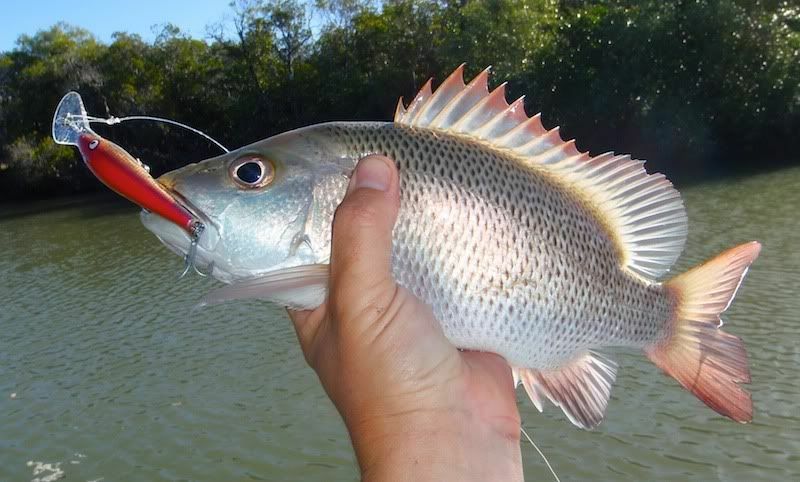 These drains are great places to cast lures, especially on the outgoing tide, as fish sit and ambush prawn and small fish as they run out with the tide. Water temp was only 21 - 22 degrees, but proves the Barra are still taking lures for the patient fisher!